Beyond the epic sword fighting we’ve come to expect from years of samurai movies and games, the other thing we in the West love about the rich idea of Japanese history is the legendary stealth skills used by their greatest warriors. This is one of the reasons fans of the Assassin’s Creed series have been clamoring for an entry set in feudal Japan, yet From Software beat them to the punch with this gorgeous title instead. Sekiro: Shadows Die Twice not only offers the kind of brutal and methodical combat you would expect from From Software, but the stealth gameplay engineered into the game is phenomenal with a huge payoff. Watch this stealth gameplay below and notice the reward in just how much damage is dealt when using stealth to take down your enemy. 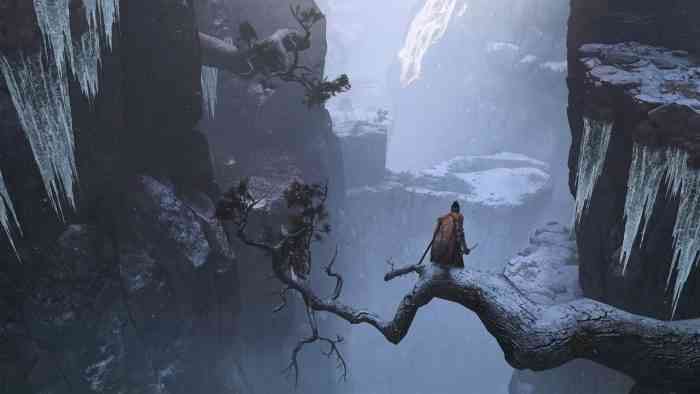 In Sekiro: Shadows Die Twice, the player will take on the role of the titular hero and shinobi, Sekiro, on his quest for revenge against the samurai who kidnapped his lord. Fans of From Softwares previous titles will be happy to see the methodical and practiced combat of the Souls series is present and even more fitting given the historical discipline of combat from the Sengoku period. The game offers familiar mechanics in the dodging and exploration from other titles but also includes a new grapple hook-like ability to make traversal easier as well as closing the gap between you and your enemies. Sekiro: Shadows Die Twice is set for release on March 22, and will be available on PC, PlayStation 4, and Xbox One. For more information, check out the game’s official website. Previous One Piece World Seeker Video Review – We Are on the Cruise!